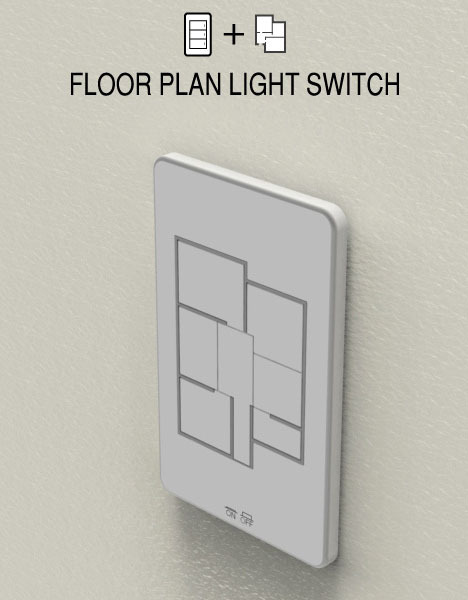 Sometimes it can be hard to remember which switch goes with which lighting fixture – particularly when the electrical layout and faceplate placements are counter-intuitive. 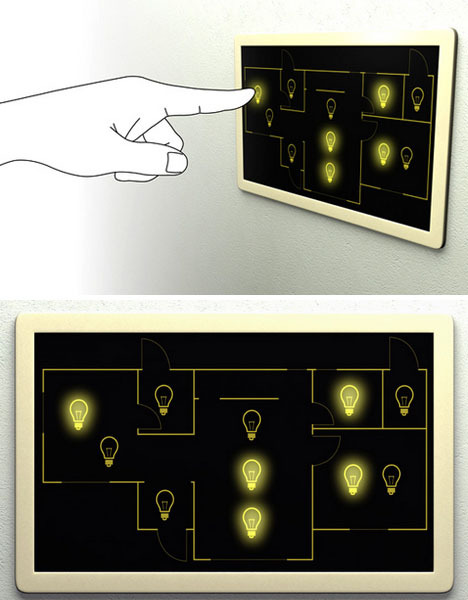 These two design ideas are both quite conceptual still, but each uses floors plans as the basis for identifying which light you want to turn on or off within a room, office or entire apartment. 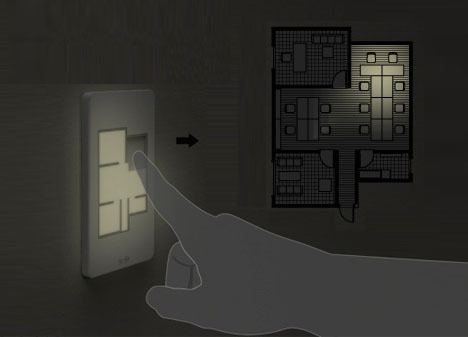 The first, by Taewon Hwang, features custom-cut, push-button switches shaped precisely like the plan of your home – sounds like an expensive unique, perhaps, but with laser-printing technologies it would not be too tough to build. 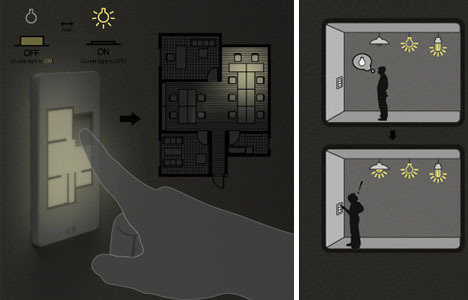 The second shown, designed by Heo Jaesik & Lim Hojoon, is arguably a less-attractive solution, but since this is still schematic it could easily be changed. Also, its touchscreen surface might lend itself to more versatile applications.